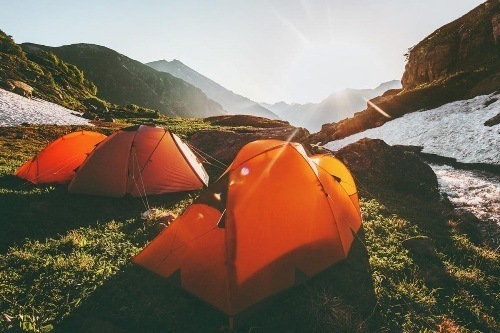 Whether you enjoy going off grid in the middle of nowhere or you are about to have a weekend away with friends or family, having the right camping equipment is essential. You need a little education and some preparation upfront though – setting up a tent, ​cooking with campfire, heating up and so on. But on the same note, investing in the right equipment will make the experience more enjoyable. Furthermore, you want convenience. You go away from stress, work and everyday problems, so you want such trips to be comfortable and relaxing. Now, what are the most important pieces of equipment to have around? If you spend the night in the wilderness, you obviously need a tent. They are extremely diversified – make sure it is large enough to accommodate you, your partner and maybe your kids or a pet too. Opt for a durable material that is also weather resistant. Space and storage are just as important on the inside or you will feel confined and overcrowded with small stuff. Learn how to set up a tarp canopy upfront too, it is easy but also important. Sleeping pads are often overlooked. Even if it is hot outside, sleeping on the ground can be uncomfortable. Not only it is uneven as you lay down and you end up with painful ribs and a stiff back, but it will also get cold overnight. A sleeping pad turns the ground into a bed, so you feel like sleeping on a comfy mattress. Sleeping pads come in all sizes and shapes – make sure it is not longer than your tent though. Find out more in this post. You can always start a campfire and cook. Nothing is more enjoyable than a campfire barbecue. 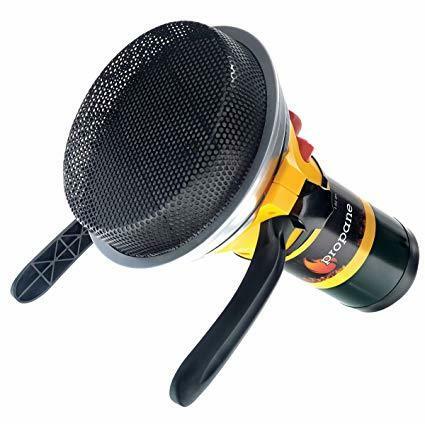 But on the other hand, there are times when you need fire for minutes only – it is simply not worth the hassle of starting a campfire just to heat up water for coffee in the morning. After all, you want it straight away. This is when a portable gas grill kicks in. It is also a convenient option if campfires are not your thing. Get a few extra gas tanks, just in case. You could do with a few regular blankets you have around. But if the weather tends to get cold overnight or you go camping on a regular basis, investing in camping blankets is a much better idea. It is all about safety and comfort. 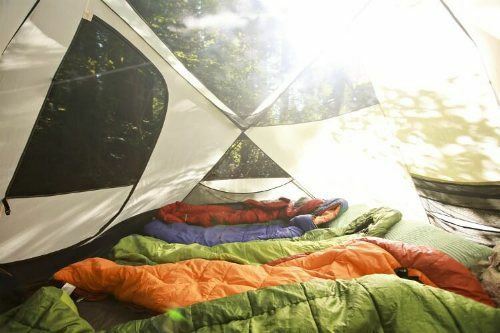 Camping blankets come with a high level of insulation, so the ground will no longer absorb your heat. They come with all kinds of extras though – for example, some blankets feature electric heating, which is even better for cold nights. 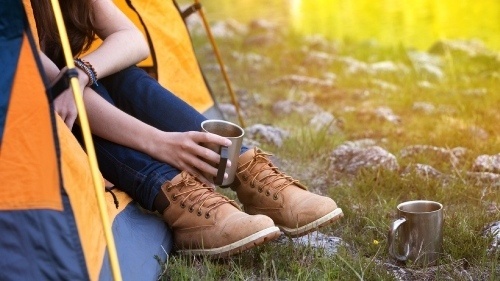 Camping shoes have all kinds of features and uses. For example, some of them are excellent for river crossings, as they can keep you dry. If you go camping for more days and there is a chance of rain, such shoes will also keep your feet clean. They are also more comfortable to wear than boots, so they are handy to have around for all kinds of situations. A good pair will last you for years – great value for money. Ever wonder how do you keep yourself warm inside the tent without electricity? A tent heater might be the key. Sure, you might have a pad, a sleeping bag and even some camping blankets, but a tent heater is still worth it or you can still wake up with a stuffed or running nose. Pay special attention to the heating method and safety standards. Based on the heater you get, it may not always be a good idea to fall asleep with it running, yet it depends on its operating principles. Check out this article for our verdicts on tent heaters, which are safe and portable, keeping you warm in chilly conditions. Again, heating water will be one of your main things during a camping trip, whether it comes to tea, coffee, other beverages or instant food. Looking for firewood and starting a campfire can be a nightmare if you only need fire for a few minutes. A portable hot water heater will do it within minutes only. Some units work with gas, while others are electric or run with solar energy. If you get an electric heater, make sure you have some extra batteries around. Check out our preferred portable propane water heaters here. 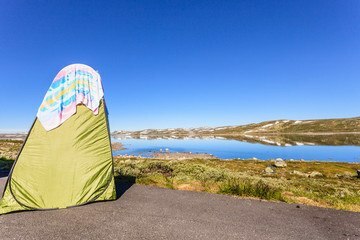 If there is one thing that puts so many people off when it comes to camping, that is the impossibility to maintain good hygiene. Well, those things when you had to wash in the river are long gone. These days, you can invest in a portable shower instead. It is not like assembling a whole cabin, as today's portable showers are extremely space efficient. You just need to find a place with a bit of privacy, hang the container, fill it with water and wait for it to warm up – different methods to do that. Check out our lists of portable showers in this post. A tarp is less expensive than a tent, easier to carry, more compact and quite diversified in setups. It is more about protection and having a shelter, rather than being enclosed in a confined space. You can still enjoy a dry experience, but you also feel closer to nature. However, it is not so suitable if the weather is harsh though. All in all, a tarp is often the preferred choice for extreme campers with experience in the wilderness. It is an adventurous shelter that keeps you in the middle of nature. 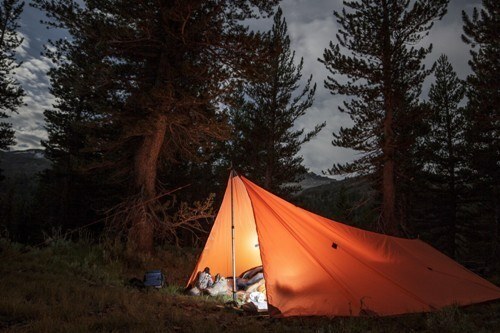 Want to know what are our favorite camping tarps? You should check it out here. 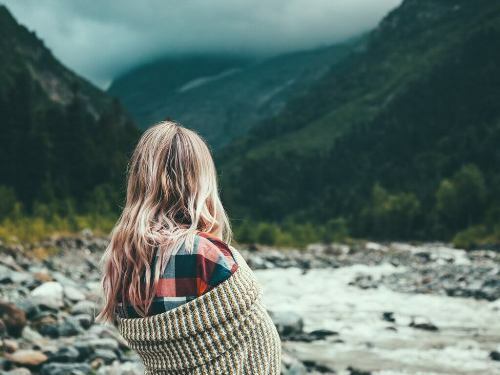 Is river water safe to drink? If you have just escaped a tribe of natives in the middle of the jungle and there is no human contact within 50 miles, maybe. But other than that, you want a water filter. Even if you prefer van camping and you have plenty of bottled water, having a water filter is a must – you never know when you might need it. These things can be as little as straws – filtration straws, but also larger for groups of people. Check out here for more info. 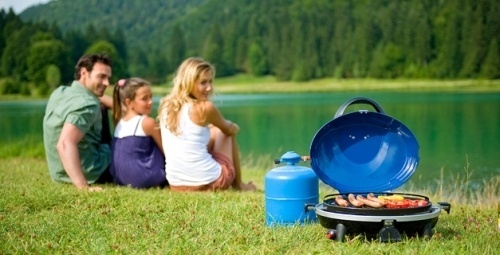 Bottom line, camping equipment can be more diversified. The above mentioned things are essential for a comfortable experience, yet you will run into plenty of fancy things that might be cool to have around too. River Water - Is It Safe to Consume? How to Sleep Comfortably in Camping Tent? What to Watch out for during Camping?